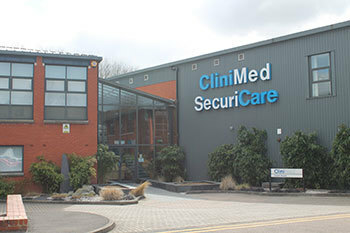 CliniMed Limited is the founding company of a privately owned British group of companies that was established in 1982. The CliniMed Group comprises seven companies all providing specialist products and services to the healthcare market. CliniMed (Holdings) Ltd is the parent company of the CliniMed Group which today employs 500 people and serves healthcare markets around the world. Companies in the CliniMed Group adopt high standards of business practice. Our statement on compliance with the Modern Slavery Act can be seen here. Click here for more information on companies in the CliniMed Group. Here at our modern offices in Loudwater, within a stone's throw of High Wycombe, we market and distribute a range of high quality medical products throughout the UK. Our core areas are: Stoma Care, Urology and Wound Care. CliniMed's strength is in providing a reliable and caring service for our customers and introducing innovative new products to suit continuing needs. We pride ourselves on having a close working relationship with healthcare professionals in both the hospital and community, providing advice and education to them and also directly to patients.